Is Facebook fat-shaming its users? When you update your status on Facebook, the site gives you the option to add how you’re feeling. The social network offers you of list of varying emoticons to capture whatever emotions you’re going through at that particular moment. These range from happiness to embarrassment. Now some Facebook users have slammed the site for promoting fat-shaming through its use of ‘fat’ and ‘ugly’ emoticons. Fat-shaming is “the practice of criticising people publicly for being too fat”. A group called Endangered Bodies is leading a petition aimed at getting Facebook to remove the double-chinned smiley faces. They started a petition on change.org and it has received more than 11,500 signatures around the world. The group points out that with 890 million users every day, Facebook has real power to determine how people talk about their bodies. 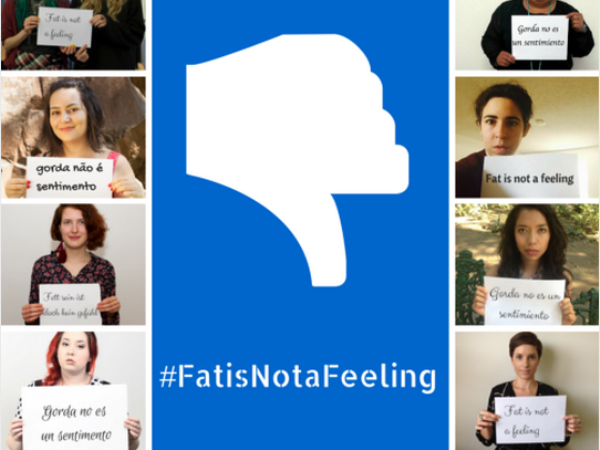 “When Facebook users set their status to ‘feeling fat,’ they are making fun of people who consider themselves to be overweight, which can include many people with eating disorders,” explains the petition. The campaign has garnered a lot of support from Twitter uses as well. “Feeling fat is not a euphemism for feeling rubbish about yourself - tell facebook we don't dig self-bashing emoticons (sic),” tweeted a user using the handle @nudesomnambulis.